In the market for a new garage door opener? 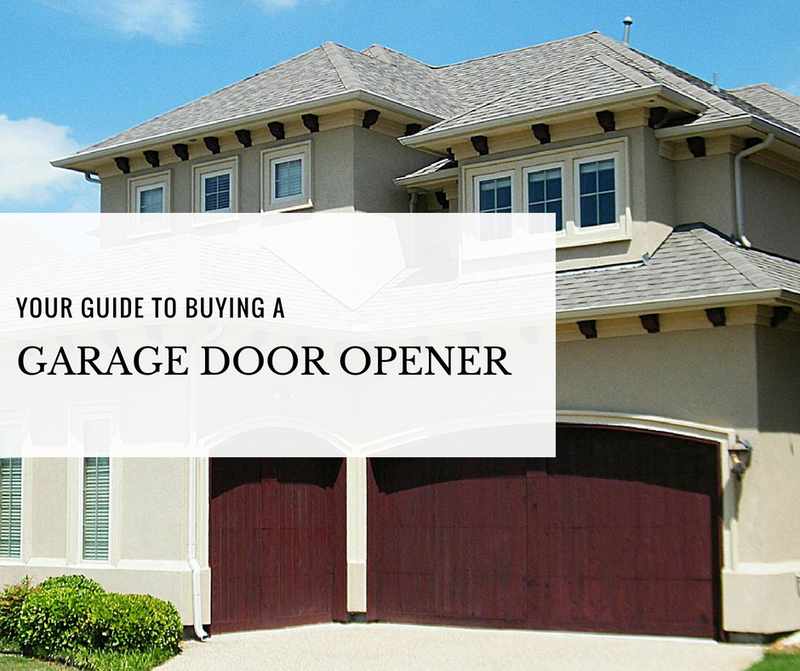 Then you’ll want to read our guide for buying a garage door opener. Chain-drive, belt-drive, and screw-drive are the most sold garage door openers. Chain-driven openers are very economical. They use a metal chain to drive the trolley back and forth. They tend to create a fair amount of noise, making them less than ideal for garages near bedrooms, although noise isolators can be installed. With a steel reinforced rubber belt, belt-driven openers provide powerful performance with barely a sound. This is the opener to get if you’re sensitive to noise or there are sleeping quarters above the garage. Considered the Goldilocks of openers, screw-driven openers provide powerful, reliable performance. These openers use a threaded steel rod that rotates to raise and lower the door. They are a great option for heavier garage doors such as wood. Horsepower (HP) is an important decision that should be based on the size and weight of your garage door. ½ HP is recommended for most standard-size garage doors. However, if your garage door is larger or heavier, ¾ HP is a good choice. This technology allows you to remotely monitor and control the opener using a smartphone app. Some models provide auto-close functionality. Smart garage door openers are easily connectable to your home Wi-Fi. A battery backup system ensures access to your garage even when the power goes out. This feature can be especially helpful during Arizona’s monsoon season. In an outage, a fully charged battery is designed to operate an opener for 24 hours. A keyless entry system allows you to leave your keys behind when you walk the dog or go out for a jog. Installed outside the garage door, these keypads are designed to hold up to four private 4-digit codes. A professional can ensure quality installation and functionality. They can also show you how to properly set up and use available features as well as go over warranty coverage. Quick Response Garage Door Repair has certified installers readily available throughout the greater Phoenix metro area to install your new garage door opener.